Blogging is becoming increasingly common in schools, but are all blogging programs helping to improve student learning outcomes? This is an issue I was discussing with a member of my professional learning network recently. The unrestricted program: this may involve all students being given a blog and the aim is for them to express themselves in any way they like. This program may be largely student centred from the start. The structured program: blogging is integrated into a literacy program, momentum is built and high standards are set. This program may be teacher centred before becoming increasingly student centred. sets high standards for writing, design, netiquette etc. begins with a high level of teacher guidance, before increasingly offering students more responsibility. Through this sort of a program I have seen students achieve the many educational benefits of blogging. If students practise a poor standard of writing over and over, unhelpful habits are formed and the scope for improvement is limited. I believe blogging can help students become exceptional writers when the following parameters are put into place. When I first began blogging in 2008, my program was haphazard and I didn’t set high standards. Needless to say, my students didn’t get all that much out of our program. One of the biggest mistakes I made was lack of momentum. Because blogging wasn’t integrated into my work program, I had to find time in a busy curriculum to work on the blog. This led to low student interest and lack of opportunities for explicit teaching. When it came to posts and comments, I accepted almost anything and didn’t take the time to scaffold the students’ writing on the blog. In reflection, my original blogging program was also too student centred from the beginning. I have since learnt that beginning with a more teacher centred program before giving students more responsibilities has provided my class with the most rewarding outcomes. Through learning from and with exceptional educators, such as Linda Yollis, my blogging program has continued to evolve and improve. There can be a natural ebb and flow to a quality blogging program. I encourage educators to think about these things when establishing or evolving their blogging programs. I’ve heard many people comment that they have “done” blogging or they “do” blogging, but what is it that is really being done? How has your blogging program evolved? What other advice do you have about quality blogging programs? Thanks for this post! I’m constantly encouraging my teachers to pick up blogging and develop it within their classrooms. I plan on sharing your reflection to help them guide their implementation. Too often, I feel teachers see it as an extra piece to take on and not an integrated component of their curriculum. It’s something that teachers must commit to, moderate and allow to evolve as it finds their place in their classroom. I hope this post helps your teachers from making some of the same mistakes I made! While it’s all a learning journey, I always found it good to hear how other educators approached things. 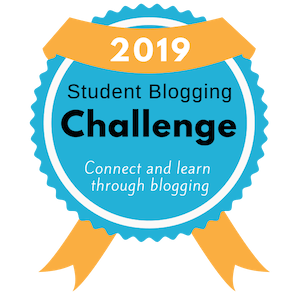 Good luck with blogging in your school! I agree with everything you said about blogging. When I first had students replying to our Russian friends I was so excited to see their participation that I was going to overlook a few errors here and there. After speaking with Linda Yollis she encouraged me that it was ok to ‘trash’ a few to help the kids see what level of writing skills were expected. Since then, they have done a great job and know what’s expected. Thanks for sharing more about blogging with the world! Thanks for taking the time to comment. It sounds like you learnt a lot from speaking with Linda. What a fabulous help she is! It’s easy to be excited by participation but as we’ve both learnt, it’s important to make sure it’s quality participation. We have just begun our blogging journey at school and I was really pleased to see your advice about starting as a class, as this is the approaching of us have taken. I will be sharing this post with everybody – thank you! Another thought provoking post! I found it very difficult to find that balance between promoting, and creating an environment of enthusiasm for, blogging; while maintaining strict high standards. I think that I need to bite the bullet and do what Elizabeth suggested; trash a few comments to demonstrate the high standards that I would love to see from all students. As far as blogging evolution goes, I’m attempting my first foray into student blogging this year, as I have a Grade 5/6 class that I think will really run with it. I find that I am fumbling in the dark a bit at the moment, but I hope that this will get better with experience. It might be tough to trash a few comments, but it works. Trust me on this one! I was so nervous about even having my students know how to type something! It’s amazing what can be accomplished when they are motivated to communicate with their friends. I have wanted to give my kids their own blog because they seem to enjoy the Teddy Bear Blog as I had mentioned before. In order for them to ‘earn’ their own blog, I had them answer a question on edmodo where they had to tell me about the things that they had to remember when writing a blog. Once they passed that little quiz, I gave them their username and password. It showed me who was motivated and ready for it! Good luck! I’d love to chat more if you need any additional help. Find me one twitter. Thanks for the comment, Andy. It is difficult to find the balance, I agree. However, if you stick with it you will find you’ve developed a classroom environment where high standards are valued. Not just from you, but from the children as well. I have been blogging for about 4 years (currently with Grade 5 students) at a mostly rural school in Ontario, Canada. I have been gradually working through the process each year of having students learn to do comments (we create the success criteria together) to eventually giving each student the status of “contributor”. I have read a few of your posts and decided to offer student blogs to interested kids in my class. Together we created a list of “prerequisites” they had to do before “earning” a blog. I had a student who was SO keen to get it going that she wrote me a persuasive letter to list reasons why kids would benefit from having their own blogs! I got her permission and recycled most of it into my parent permission form! I expected two or three kids to show interest, but we now have 14 students all giving and getting support to each other! It is SO exciting to have kids getting more comments than ever! Thanks for all the sharing you do! What a fabulous story! Thank you so much for sharing it with it. You must be so excited to have so many students who are striving to earn their own blog. I find the process can be motivating for the kids and once some start blogging, others are inspired to strive to earn a blog too. Thanks for taking the time to comment and best of luck for the end of your school year. Thanks for another awesome post. What you’ve written is what I strive to achieve with my students. I think it’s also really important to teach our students how to give effective feedback to their peers when they are commenting on others’ blogs. We’re continuing to focus on this in our teaching and learning. We also created a rubric for our blogging that looks at the stages from being a Beginner Blogger through to an Expert Blogger. This was created mostly by the students after examining many blogs. It’s been really helpful in keeping us on track but, like everything, it needs to be revisited frequently to keep our standards and expectations high. I’ve also become interested in how the model of Online Communities of Practice that many of us are involved in can be utilised and developed for our students – a next area of research. Teaching students how to give effective feedback is definitely important. It’s something I’m working on in my classroom now and will require a bit more work. That’s great you made a rubric. Hope your students are finding it helpful. I made one last year too. It certainly would be interesting to research how students can make and use their own online communities. Good luck with that! Love the rubric! 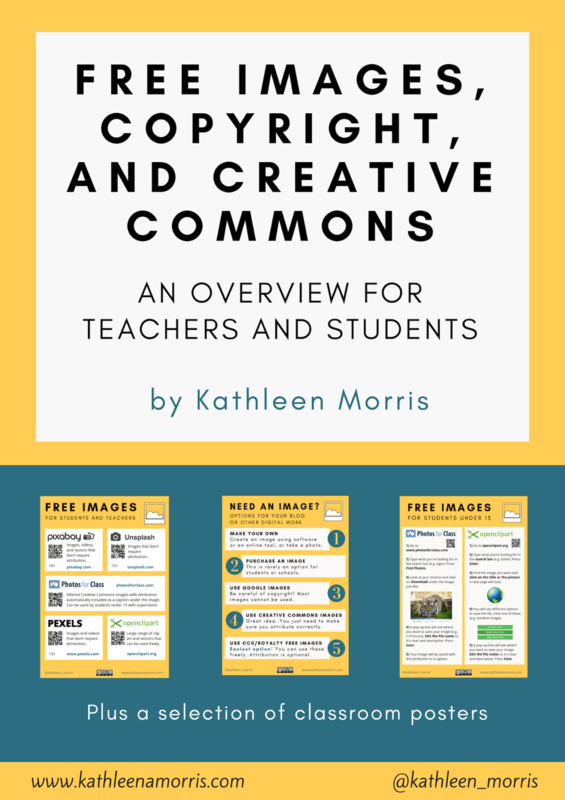 – with your permission and giving credit, may I share it on our class and my professional learning blog? It will help my students see if anything is missing on their rubric. This is the link to ours – originally developed by Year 5 and 6 students, it’s been adapted by my Year 7 and 8 students. Excellent post. I love the unrestricted vs. structured debate—you hit the nail on the head! For me personally, the ultimate goal for my students needs to be the old “nulla dia sin linea”/”never go a day without writing a line” mantra, so I find that “we” fail when I don’t push them/motivate them to write something. Also, I think failing to express to students what worked and what didn’t can be a demotivator. I built a mnemonic called TOAST to express to my kids exactly what I want their posts to look like. Feel free to take a look and borrow/steal at will! That sounds like a fun mnemonic. I like the idea of a class blog before letting the students out on their own. This would be an excellent tools for them to learn the ins and outs of blogging and what it takes to run your own and do it the right way by providing quality content. I definitely agree with you that a more structured approach should be taken when it comes to blogging! I’ve featured this blogpost over on my EDM 310 Class Blog so I can share some of these thoughts with my classmates. Thanks for another great post! I’ll definitely be coming back to your blog after I graduate so I can refresh myself on some of the tips that you’ve shared because I’ve found so many of your posts to be helpful. Hi my name is Emily Huff and I’m a student at the University of South Alabama. I want to use blogging in my classroom when I become an educator by using the structured program that you explained. I think that is it very important for blogging to be integrated into a literacy program. I learned a lot from reading your blog and I can’t wait to read more. I am glad you are able to admit it took time and a teacher centered effort to make your classroom blogs effective tools for helping to create quality writers. I am a media specialist in an elementary school in Alabama, and as of now, there are no teachers using classroom blogs. Because I have just learned about blogging at the beginning of this year, and have been following your blog as part of a course assignment, I have been inspired to start a library blog about books. I am hoping to host a professional development showing teachers how to set up a classroom blog for their students using your resource tools as a starter. I appreciate the documents you have prepared and posted for sharing as I have downloaded several of them. I hope to be able to someday inspire others as you have me, and I thank you for what you’ve been able to accomplish. Thanks for all your thoughtful comments. While I’m not blogging at the moment, it’s great to know my posts and resources are still proving to be helpful to teachers worldwide. I’m certain you will inspire others in the future with your committed attitude! This post was really great as my class at USA, EDM 310, right now is all about technology in the classroom and we are learning how to use a blog. This post was really helpful as it helped clear some thing up and point some positives to blogging and teaching that we have not covered in our class. My name is Autumn and I am studying to be a teacher at SUNY Geneseo. In one of my courses we have been discussing the use of technology in the classroom. I agree with how you discuss that a balance must be found when it comes to instituting a literacy program that involves technology, such as blogging. The use of technology is not only for the sole purpose of entertainment, and by no means is it an excuse to slack off or not maintain high exceptions of exemplifying their (students’) writing abilities. In this ever increasing technological age students must have some knowledge and experience with technology and using it to communicate with others. I believe that your equation for an exemplary blog post IS the best foundation for building momentum and motivation for students to put forth their best work. Utilizing technology to our advantage in the classroom can only help to advance our students learning curve in the “real world” later on in life. Mrs. Morris, My name is Patricia Tremblay and I am taking EDM310 at the University of South Alabama. I also agree that the students should be blogging to help improve learning outcomes. I think that it will be important to monitor the students as they are blogging and to make sure they are growing their skills. Thank you for the great advice and I hope that I will be able to use it in my future classroom.